When one has limited cash in their wallet and not a whole lot of time to spare, it may seem like one has to hit the usual spots. Those usually involve some form of drive-thru and/or the phrase, "did you want fries with that?". For me, that can be an option, but really, the standard fall-back is Vietnamese food. 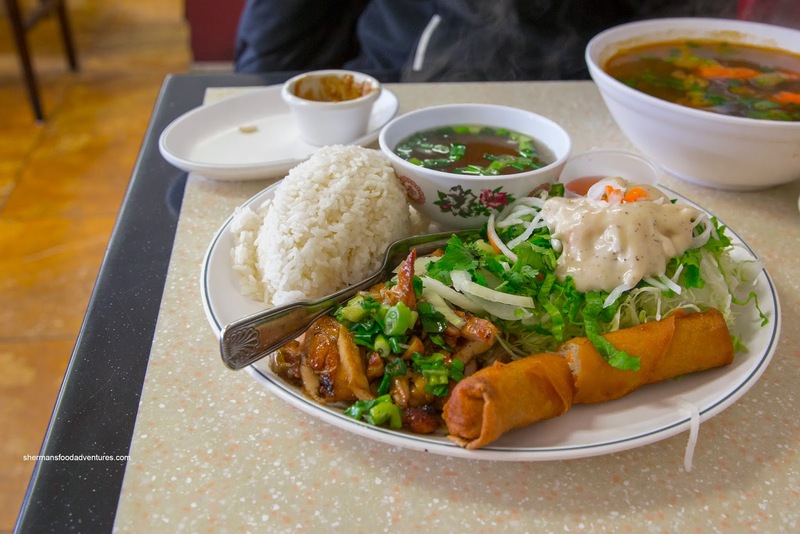 Seemingly prepared just as fast and costing just as much, one could dine on food that may not necessarily come out of a deep-fryer (except for the spring rolls of course). 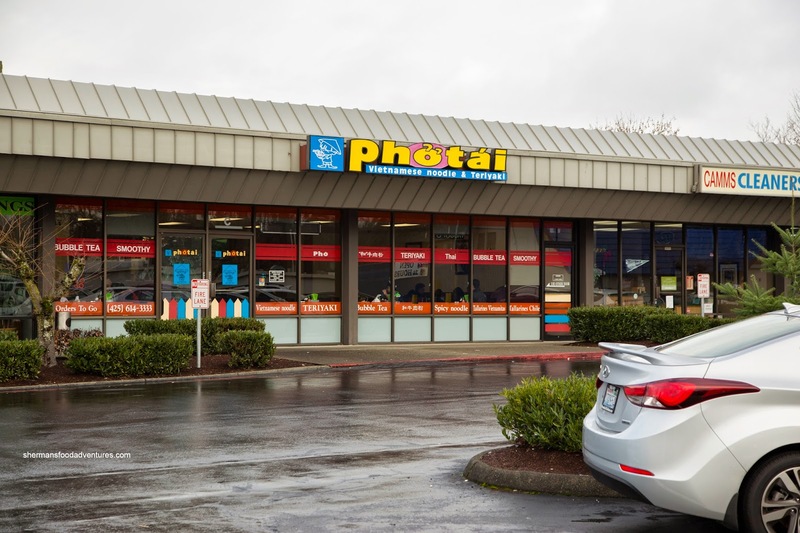 On our way out of Bellevue, we stopped at Pho Tai for some quick eats. We began with the Salad Roll which arrived with a strangely colored exterior. It was almost if the rice wrapper was beginning to go opaque. One bite and it made more sense as it was a bit gummy and dense. Was it sitting around too long? 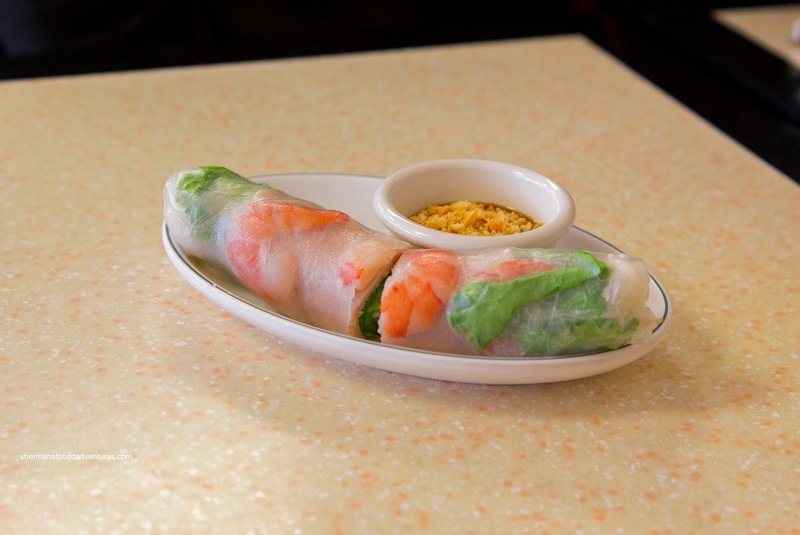 Despite this, the roll itself was alright with meaty shrimp and crisp greens including some basil. The dip was nicely balanced between the hoisin and peanut sauce. 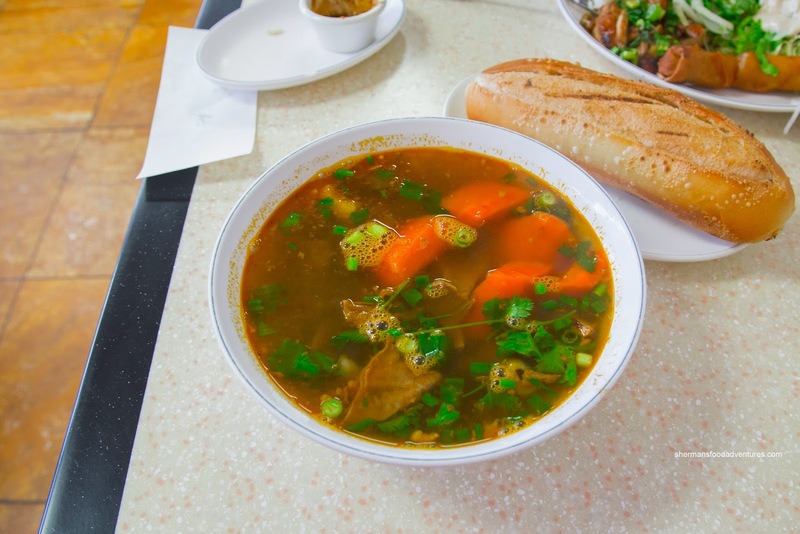 Going for something other than Pho, we had the Bo Kho with bread. This was rather mild-tasting and thin while not completely devoid of impact either. It was somewhat fragrant and only purposefully salty and sweet. There wasn't as much meat flavor as we would've hoped. However, the generous portion of beef shank was succulent and moist. Of course we still had the Pho Dac Biet because it would've been wrong otherwise. It was a decent portion with plenty of meats atop al dente noodles. The broth itself was clean but overly sugary. Hence, there was no balance, which meant that any meat flavor or savoriness was masked. Lastly, we had the Lemongrass Chicken & Spring Roll with Rice. Sliced into pieces and stir-fried, the chicken was rather saucy, yet dry at the same time. It was really sweet and somewhat caramelized. However, we weren't huge fans of it though. The spring roll was somewhat an afterthought as the filling was rather bland and somewhat dry. Despite this and some other issues, we were still okay after it was all said and done. It didn't cost us much and did the job. 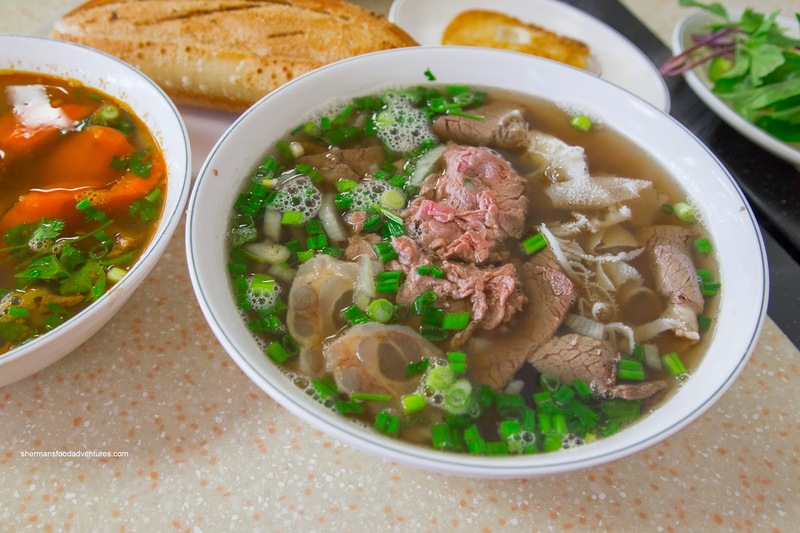 But then again, there are better choices for Vietnamese food though.